10 Questions: You Have Got To WANT IT! Whether you are playing basketball, chopping firewood, or working on your finances, you must WANT IT in order to maximize your return on effort. If you casually dribble the basketball up the court, you will soon find yourself without the ball and watching the opposing player put it in their basket. To score, you must WANT IT and GO FOR IT. If you kinda sorta swing the axe, it will bounce off the wood and possibly even hit you. You must swing the axe with much energy and focus in order to split the log. You must WANT IT and GO FOR IT. There is no reason to believe it will be any different with your finances. If you casually kinda sorta attempt to win with your money, chances are high that you will receive mediocre results. In order to win with your money, it requires FOCUS and INTENTIONAL EFFORT. 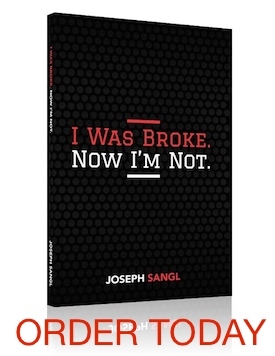 When was the last time you read a book on personal finances? When was the last time you read a blog or article about personal finances? Do you know how much money is in your retirement account? Do you know the rate of return you are receiving on your investments? If you received an extra $30,000 right now, do you know what you would do with it? Was the answer to Question 5 spend it all? or retire debt? or invest it? or start a business? If you are married, does your spouse know everything about the financial situation and do you discuss major financial decisions PRIOR to making them? Is there anyone in your life who has won with their own money? When was the last time you asked them for advice? Do you live and operate on a balanced INCOME – OUTGO = EXACTLY ZERO budget? Are you saving for Emergencies, Known Upcoming Non-Monthly Expenses, and your Dreams?